A waterborne paint made primarily of linseed oil suspended in water and can be mixed to produce a large variety of different colours. 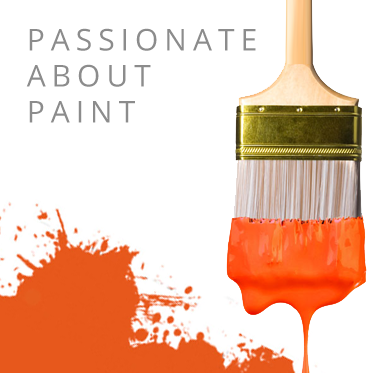 The Traditional Paint Company Waterborne Linseed Oil Paint is an eco-friendly, internal and external, highly durable paint formulated from natural ingredients. With correct application, maintenance is not expected within 15 years. The Traditional Paint Company Waterborne Linseed Oil Paint is produced primarily of linseed oil suspended in water. It that dries to form a flexible, durable, matt finish. Unlike many conventional paints that degrade or crack within 5 years, Waterborne Linseed Oil Paint offers a lifespan of over 15 years internally, and up to 15 years externally. Linseed Oil is obtained by squeezing the seeds of flax so is extremely environmentally friendly. Unlike other conventional paints that contain solvents and other harmful substances, linseed oil is used as the base ingredient for the formulation of this product. Formulating the paint in this way means no fossil fuels are used reducing the contribution to global warming. As a result this product is commonly used by those who wish to promote a greener planet. The Traditional Paint Company Waterborne Linseed Oil Paint can be applied on either horizontal or vertical surfaces to a wide range of hardwood and softwood surfaces. Substrates can include exotic surfaces and even primed steel and weathered concrete. This paint is ideal for protecting wooden substrates such as barns, timber cladding, doors, joinery, timber frames, window frames, doors, garden furniture, garden buildings, log cabins, barge boards, fascia boards, handrails, fences, sheds plus many more. The Traditional Paint Company Waterborne Linseed Oil Paint is best applied by brush, but can also be applied by medium pile roller. To prepare the substrate for painting, first lightly abrade the surface to produce a key. Remove all dust thoroughly, then clean and degrease the surface ensuring it is free from any dirt loose particles or contamination. Traditionally, painters would apply a fine coat of pure boiled linseed oil first to increase the life span of the paint. This is an optional priming coat to increase adhesion. Priming coats of Boiled Linseed Oil should be applied thinly. The Traditional Paint Company Waterborne Linseed Oil Paint is a 3 coat system - 1 priming coat and 2 topcoats. Apply the Linseed Oil Paint to the prepared surface using a brush or medium pile roller allowing 24 hour between coats. Once applied, the paint will take around 3-7 day to fully cure depending on the weather. Take care with application materials and soiled rags as they may self-ignite without warning. Dispose of safely by lying flat and allowing to dry or clean with warm soapy water to avoid fire risks.